this weekend was one for the books! it was the perfect blend of relaxation, entertainment, work, spring cleaning, and good food. one of the things that made this weekend so great was the success of these brownies! for such a long time i have been wanting to experiment more with avocados in baking, and sunday just called for brownies. 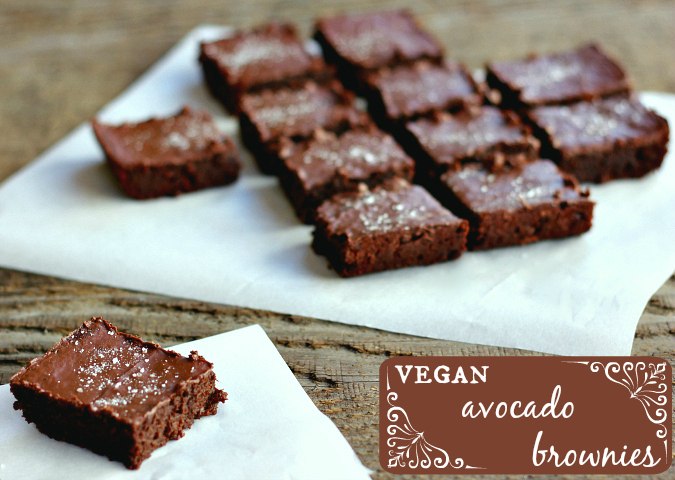 therefore, i gift to you on this monday morning avocado brownies . 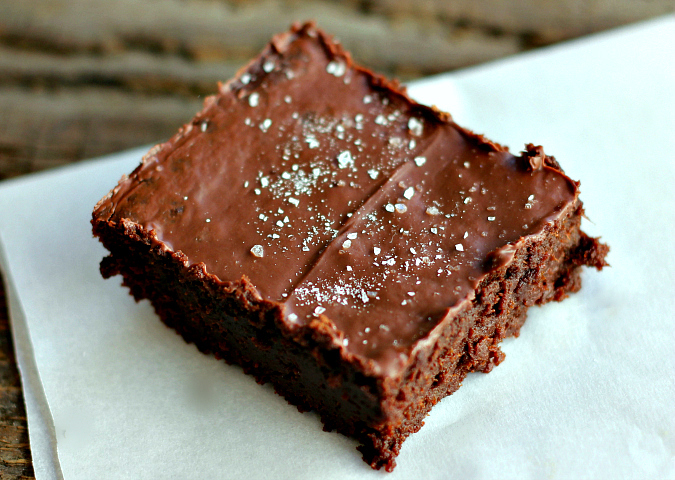 . .
if i didn't tell you there were avocados in these brownies, you would never know. seriously, you can't even taste them. we've hid crazy things in brownies before. 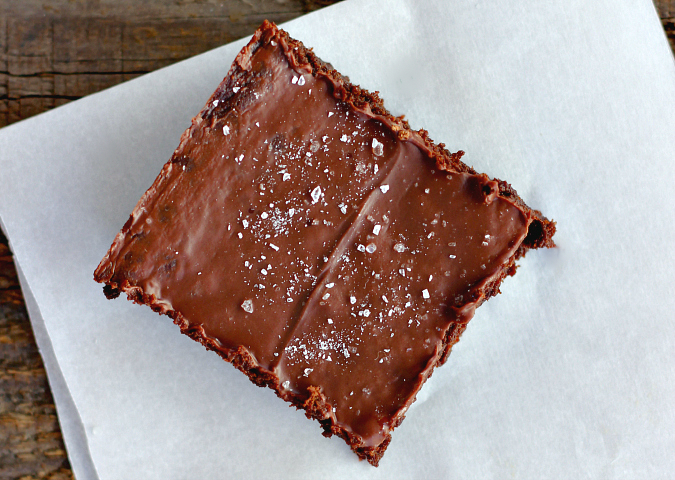 remember my black bean chia seed brownies and my no-bake vegan date brownies? 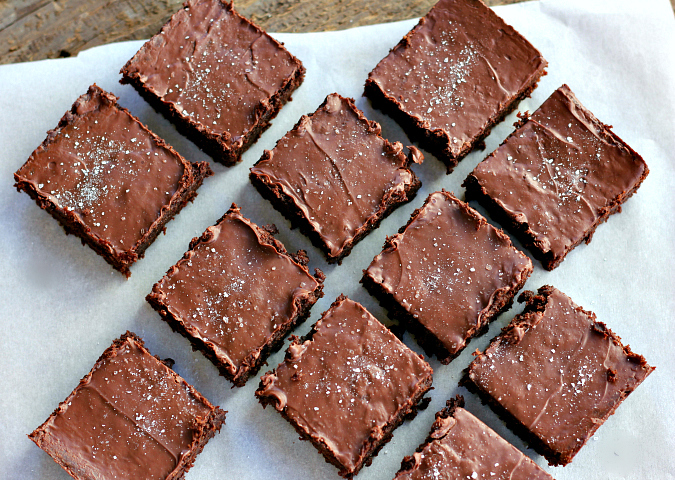 the best thing about these brownies is that they are vegan and they are thick, dense, and fudgy. as soon as ryan bit into one, he said he couldn't believe how fudgy it was! to be honest, i was really concerned that ryan might not like these, but as it turned out he loved them. we both did! they are delicious and dangerously easy to make. yum! preheat your oven to 350 degrees F. in a large bowl, stir together the mashed avocado and the melted chocolate. stir in the coconut sugar. add the neat eggs and vanilla, stir to combine. stir in the flour, cocoa powder, and baking powder. the batter will be very thick. add the melted coconut oil and stir just until combined. pour the batter into an oiled 8-inch square pan. bake for 25 minutes. remove from the oven and sprinkle the mini chocolate chips over the top of the brownies. the heat of the brownies will melt the chocolate chips. use an off-set spatula to evenly spread the melted chocolate over the top of the brownies. sprinkle sea salt on top. They look delicious and moist. This was the weekend for brownies. I made brownies too but they were the regular ones. I did make a great flourless muffin and I liked them. Haven't heard from dad yet.